The 10 Best Hardware Stores in North Dakota! 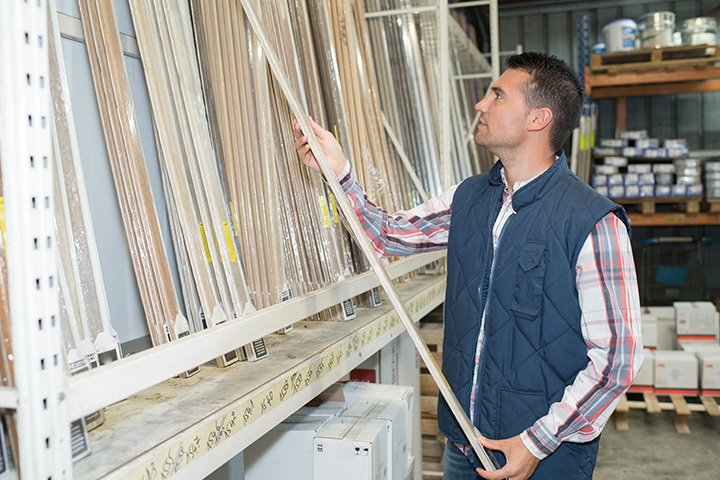 Whether you’re a handyman or you’re just looking to make some basic repairs around the house, finding a great local hardware store to suit your needs is a must! If you’re not sure about the supplies you need, the expert employees will guide you along. One of these excellent North Dakota hardware stores will help you get in, out, and back to work in no time! An old-fashioned hardware store with a hometown feel, Ostrom’s will make you feel like a valuable customer from the minute you walk in the door. Their experienced staff will help you find exactly what you need and you will appreciate the intimate nature of the shopping experience. Locally owned and operated for over 25 years. Now under new ownership, Simonson is still a one-stop-shopping destination for all your hardware needs. A Fargo staple for decades, Simonson will give you the products you need with one-of-a-kind service and a friendly atmosphere. Founded in 1939, Home of Economy is one of the state’s oldest and most respected hardware stores. It now carries a variety of clothing, furniture, and housewares as well, but it still hangs its hat on its hardware selection. Even better, Home of Economy has always been a huge supporter of the local community. Check out their website for special events and fundraisers. Locally owned and operated, Acme tools has been providing the highest quality tools and equipment to North Dakota residents for decades. Although it has expanded into nearby Minnesota and South Dakota, Acme still provides personalized service while providing shoppers with a small and intimate atmosphere. If you are looking for expert help for your next project or repair, North Hill True Value is the place to go. With years of experience behind them, their staff will guide you through your next purchase with speed and precision. Why risk your project with anything less? If you are looking for a tool, chances are great you will find it at Tools 4 U. Specializing in new and used tools of all kinds, the store will provide you will everything you need to finish your project. Tools 4 U also purchases used tools if you are looking to downsize your tool collection. A major player in the tool and equipment industry for the past 55 years, Northern States will help you get the job done quickly and easily. An employee owned company that prides itself on its service and immense inventory, Northern States will be the last hardware store you ever need to shop at. A retail store and lumberyard, Infinity has rapidly established itself as the place to go for hardware products and services. Whether you are looking for a specific tool or want to make your next design vision become a reality, Infinity can get you where you need to go. If you are looking for a locally owned hardware store that has the knowledge and experience of the big boys, a trip to Muus is in order. With an inventory that includes everything from tools and building supplies to cleaning product and home décor, you are sure to find everything you need, and then some.